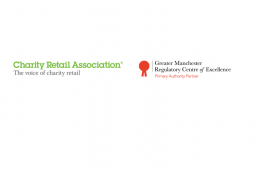 The Greater Manchester Combined Authority (GMCA) has responded to our call to drop their new waste charges for their region’s charity shops. Develop our retail portfolio and build a team for the future using your proven track record in charity or commercial retail development. Lead the team to maximise income for BSWA and support services that help women and children affected by domestic violence and abuse. Oversee the set up of a new warehouse operation in the Midlands which will receive donations daily from the public . Assist with the collection and delivery of furniture and bulky goods donated to shops. Raise funds for the Hospice and build a happy atmosphere with colleagues, customers and the community. Ensure a smooth-running shop, cover the duties of a manager, and raise vital funds for the Hospice. Seeking a highly motivated individual to provide strategic leadership and business acumen to maximise income in the retail arm. We are looking for a dynamic individual who wants to help manage and grow our chain of community based charity shops.